Abolishing broadcasting licence fees and datacasting charges. Applying a fee for the spectrum that broadcasters use at a level more reflective of the current media landscape. Further restrictions on gambling advertising in live sporting events across all platforms. Amending the anti-siphoning scheme and list. Repealing the two out of three and 75 per cent audience reach media ownership rules. A broad ranging and comprehensive review of Australian and children’s content. The package will abolish free-to-air broadcasting annual licence fees currently estimated to raise around A$130 million (€88m) on television and radio to improve the ability of broadcasters to operate on a level playing field with other platforms. “Licence fees, which are revenue-based, were introduced when broadcasters could generate significant profits due to their exclusive access to mass audiences. In today’s media environment, licence fees are a relic of a bygone age of regulation,” he declared. Under the reforms, broadcasters will pay new annual spectrum fees estimated to raise around A$40 million, a level that Fifield suggests is more reflective of the current media landscape. “The financial relief provided by the package gives commercial broadcasters the flexibility to grow and adapt in the changing media landscape, invest in their businesses and in Australian content, and better compete with online providers,” he says.. The package also includes a community dividend in the form of further restrictions on gambling advertising during live sports programmes. The Government will work with industry to introduce new restrictions on gambling advertisements during live sports broadcasts shown on commercial television, commercial radio, subscription television, the Special Broadcasting Service (SBS) and online platforms. The new restriction will ban gambling advertisements from five minutes before the commencement of play until five minutes after the conclusion of play or 8:30pm, whichever comes sooner. This will provide a clear and practical zone for families and children to watch live sports. Existing exemptions for advertising that covers the racing industry and lotteries will remain. 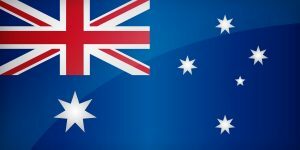 The reform package will also amend Australia’s ‘anti-siphoning’ regime to reduce the size of the list and update other parts of the scheme, whilst ensuring that iconic sporting events of national significance are retained. During 2017, the Department of Communications and the Arts, Screen Australia and the ACMA will undertake a review of Australian and children’s screen content. The review will identify sustainable policies to ensure the ongoing availability of Australian and children’s content to domestic and international audiences, regardless of platform. The Government will provide funding of A$30 million over four years to subscription television to maintain and increase coverage of women’s sports, niche sports and high participation sports that are less sustainable to broadcast. Increased coverage of these sports will assist them to build their profile, boost participation and improve sponsorship opportunities. The Government will progress its Broadcast and Content Reform Package via an integrated legislative package which will include the Government’s media ownership reforms. “Together, this package represents a comprehensive package of media reforms. It represents a major opportunity for government, industry and the Parliament to strengthen and benefit this important industry, ensure ongoing investment in Australian content and support for the highly skilled jobs this sector provides,” says Fifield. “The reforms are vital to the long-term viability of the sector, which provides access to high quality Australian content that contributes to, and reflects, Australian cultural life,” he concludes.